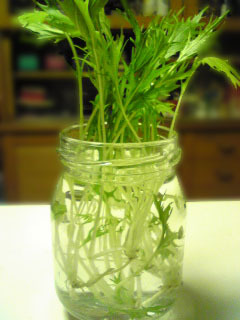 The mizuna which I planted in the porch at the end of last year. I’m happy it’s growing well in this soil. I think value raise above eating.